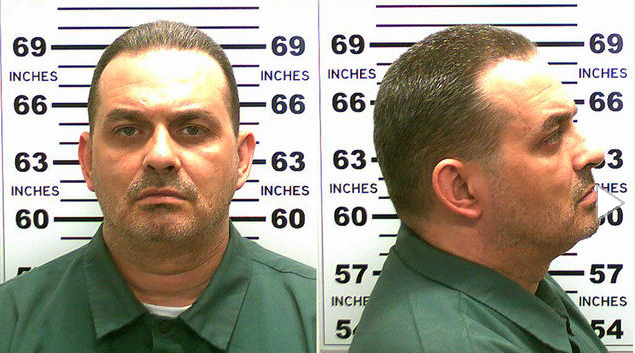 The massive manhunt for two convicted killers resumed Saturday on the morning after a worker at an upstate New York maximum-security prison was charged with smuggling in hacksaw blades, chisels, a punch and a screwdriver bit to help the men escape. Mitchell is accused of befriending inmates David Sweat and Richard Matt and giving them the contraband, according to criminal complaints. District Attorney Andrew Wylie said earlier the contraband didn’t include the power tools the men used to cut holes in their cell walls and a steam pipe to escape through a manhole last weekend. 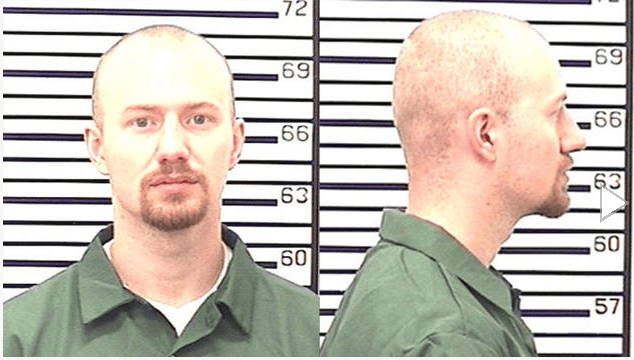 “We’re coming for you, and we will not stop until you are caught,” Guess said in addressing the escapees. “They’ve got to be cold, wet, tired and hungry” if they haven’t escaped the area or found shelter, he said. Mitchell’s family has said she wouldn’t have helped the convicts break out. An instructor in the tailor shop where the men worked, Mitchell is also suspected of agreeing to be a getaway driver but didn’t show up, leaving the men on foot early Saturday morning. Within the past year, officials looked into whether Mitchell had improper ties to the 34-year-old Sweat, who was serving a life sentence for killing a sheriff’s deputy, Wylie said. He gave no details on the nature of the suspected relationship. The investigation didn’t turn up anything solid enough to warrant disciplinary charges against her, the district attorney said . Matt was serving 25 years to life for the 1997 kidnap, torture and hacksaw dismemberment of Matt’s 76-year-old former boss, whose body was found in pieces in a river. A former slipper-factory employee who won three terms as tax collector in her town near Dannemora, Mitchell has worked at the prison for at least five years, according to a neighbor, Sharon Currier. Mitchell’s husband, Lyle, also works in industrial training there. Mitchell’s union, Civil Service Employees Association Local 1000, would not comment Friday on the investigation of Mitchell or the current allegations. But her daughter-in-law, Paige Mitchell, said this week that her mother-in-law never mentioned Sweat, Matt or any other inmates she encountered. “She doesn’t get too involved,” Paige Mitchell told the Press-Republican of Plattsburgh. And Mitchell’s son Tobey told NBC that she would not have helped the inmates escape and that she checked herself into a hospital with chest pains on Saturday, the day the breakout was discovered.